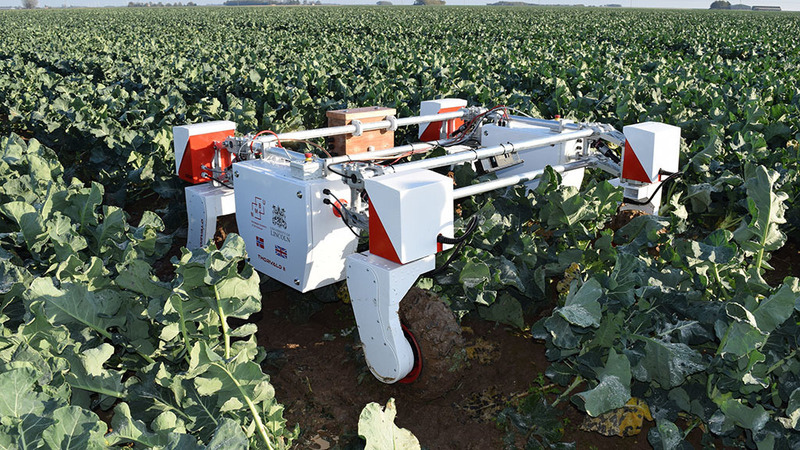 The Centre for Doctoral Training (CDT) for agri-food robotics is being established by the University of Lincoln, UK, in collaboration with the University of Cambridge and the University of East Anglia in what is said to be a world first. The new advanced training centre in agri-food robotics will create the largest ever cohort of Robotics and Autonomous Systems (RAS) specialists for the global food and farming sectors, due to a multi-million pound funding award, according to Lincoln University. The Engineering and Physical Sciences Research Council (EPSRC) has awarded £6.6m for the new centre which will see an influx of high-level robotics expertise at a vital time for the agri-food industry. The CDT will provide funding and training for at least 50 doctoral students, who will be supported by major industry partners including John Deere, Syngenta, G’s Growers, and Beeswax Dyson, according to the University of Lincoln. Professor Tom Duckett, Professor of Robotics and Autonomous Systems at the university, is the new centre director. He said: “The global food chain is under pressure from population growth, climate change, political pressures affecting migration, population drift from rural to urban regions, and the demographics of an ageing population in advanced economies.